When pro golfer Tiger Woods was arrested and charged with driving under the influence (DUI) on May 29, the immediate suspicion of many was that he had too much to drink. Evidence later proved, however, that his was a classic case of what can happen when someone drives under the influence of prescription drugs. It’s called drugged driving, and we’ll talk about it in this issue. Simply put, it’s when one’s driving ability is impaired by legal or illegal substances. Like driving under the influence of alcohol, drugged driving can seriously affect a person’s coordination, reaction time, judgement, perception and attention. In an earlier post, we talked about the frequency of drugged driving, and provided stunning results from a government-issued report which confirmed that drugged driving had surpassed the frequency of drunk driving. While breath tests showed no presence of alcohol, Woods admitted to officers that he had taken several prescription drugs, including Xanax and Vicodin. 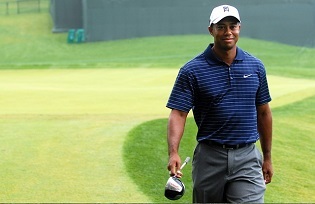 “I didn’t realize the mix of medications had affected me so strongly,” Woods later said in an apology to the public. Why is drugged driving so dangerous? Alaska law makes it illegal to drive while under the influence of alcohol, inhalants or controlled substances, which does include prescription medication. As stated above, drugged driving inhibits the ability of someone to drive responsibly. In the case of Woods, a heavily publicized dashcam police video showed a wobbly and confused Woods as he was questioned by officers who found him asleep behind the wheel at 2 a.m.
Our roads are dangerous enough without drivers who have been drinking or taking prescription or illegal drugs. If you’ve been hurt by an impaired driver, we want to talk with you about your legal options.